Built to easily carry the biggest of trophies home, Summit's game cart is outfitted with a solid steel axle and heavy-duty, 16-inch-diameter hardened rubber wheels. A curved handle offers added control and leverage, even with heavy loads. 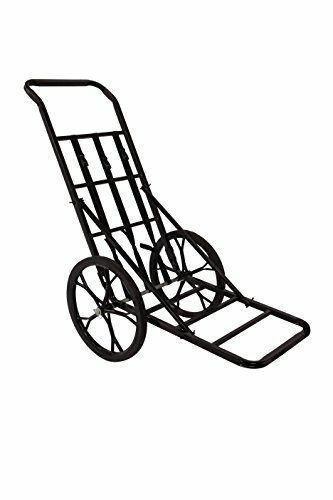 Edged teeth at the bottom of the cart grip the ground for traction while you're loading up-no more battling with a cart that won't stay still! three utility straps let you securely strap your game to the cart while a convenient folding frame makes for handy, compact storage and transport.